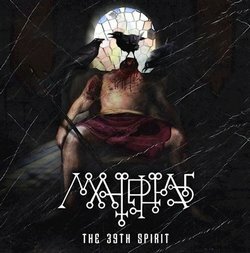 We at DR are happy to be hosting a stream for melodic black metal act Malphas’ full-length debut, The 39th Spirit. An adventurous journey of symphonic black metal, the band hits just the right spots between epic glory and scorching heaviness. The follow-up from their 2015 EP, The Conjuring, it’s also an effective step-up in songwriting for the band, and the conceptual tale gives it some extra punch. But even in listening to the combination of grandiose synths, all-guns-blazing riffs, and raspy vocals, there’s plenty of fun to be had, and brutal darkness to enjoy – all laced with just enough melody to make it memorable. A fitting release just prior to Halloween. The 39th Spirit is set to be released October 26th through Via Nocturna. If you enjoy what you hear, you can click HERE or on the Bandcamp widget at the bottom of the page to order the album. Malphas was founded in 2012 by Paul DeSanctis and Eric Dunleavy. Accompanied by Damian DiFrancesco in 2014. The Conjuring EP was released in 2015, followed by extensive playing around the greater Philadelphia area in support of local and national acts. 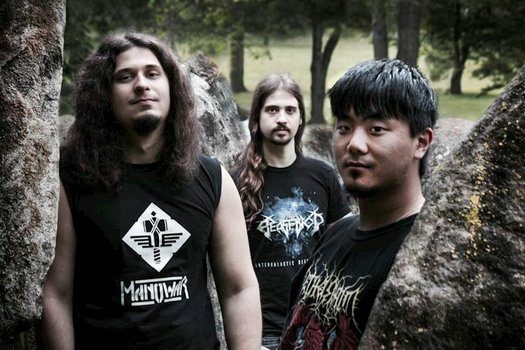 Malphas signed with Fatal Illness Management in 2016, and toured North America with Tengger Cavalry in Summer 2017; garnering national and international attention for the first time. Debut album The 39th Spirit to be released October 26, 2018 with Via Nocturna.